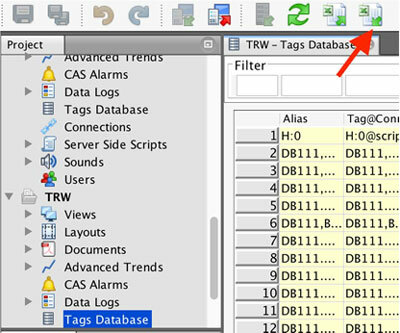 The tag database can be easily exported into Microsoft Excel. To do so, click on the Export button in the main toolbar. Specify a file name and confirm. A new Microsoft Excel file is created containing the whole tag database. Once the export file is created, you can open it in MS Excel. Once you import the tags, myDESIGNER will go over your existing tag database. 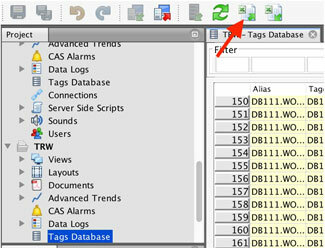 If you import a tag with the same alias as one that is already in the tag database, it will be overwritten.